As many collectors know, after the first few Presidential $1 coins were issued in 2007, some of them (most famously the George Washington golden dollar) did not feature the national motto “In God We Trust” inscribed on the edge as mandated by law. 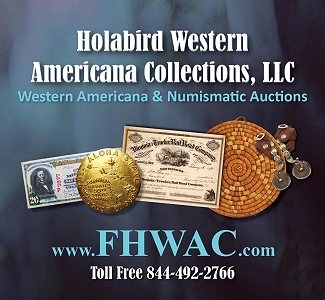 These “Godless” dollars became controversial curiosities, encouraging even casual collectors to examine the few dollar coins that popped up here and there in pocket change. By the time the Ronald Reagan Presidential $1 coin was released as the 39th and final coin in the series on July 1, 2016, a few changes had been made. 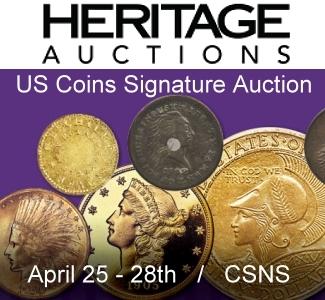 Most predominantly, the United States Mint gave up on its effort to produce a circulating dollar coin in 2011, with all subsequent Presidential $1 coins (starting with Chester Alan Arthur in 2012) being struck for collectors only. But more importantly for our purposes here, because of the uproar created by the “Godless” dollars, the national motto was moved to the obverse starting in 2009. In its place on the edge went the Latin legend E PLURIBUS UNUM (“Out of Many, One”), the coin’s date, the mint mark, and a collection of 13 five-pointed stars representing the original 13 American colonies. A wise move, perhaps, because Presidential dollar coins with missing edge lettering were still escaping the Mint’s clutches until the very end of the program’s run. Most issues have, in fact, been found to include the odd error, despite the Mint’s tightened quality controls. And a new discovery has many collectors excited. 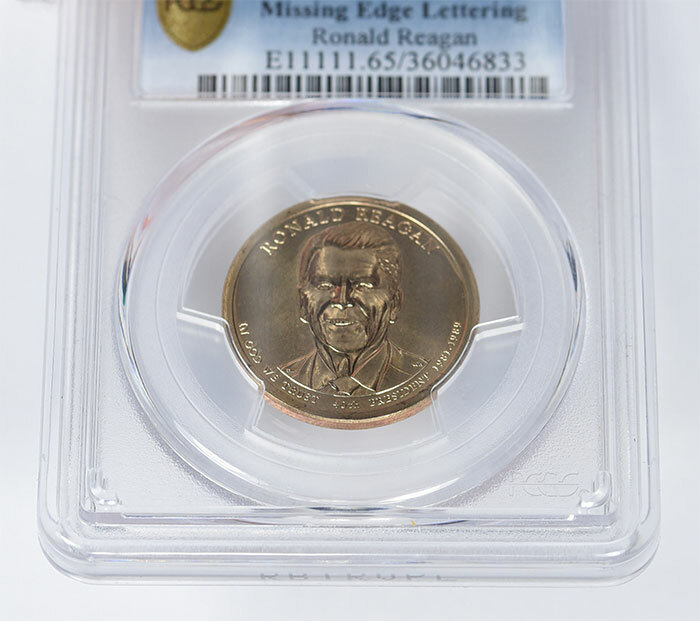 Professional Coin Grading Service (PCGS) recently certified a 2016 Ronald Reagan Presidential dollar with all of its edge lettering missing. An anonymous dealer from the Eastern United States found the coin in a 2016 U.S. Mint Set. 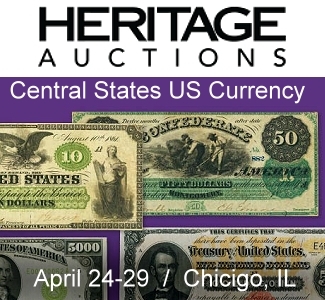 And while missing edge letering means that no mint mark can ever be definitively applied to the piece, the dealer has stated that this particular specimen came from the Denver section of the mint set. 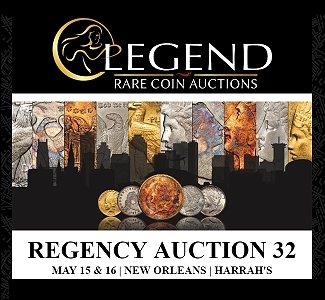 Naturally, the coin attracts special interest beyond the numismatic due to the fact that it honors the ever-popular Ronald W. Reagan (1911-2004), who served two terms in office from 1981 to 1989. Among Reagan’s notable achievements are ending the Iran hostage crisis and guiding the United States through the end of the Cold War and the dissolution of the Soviet Union. 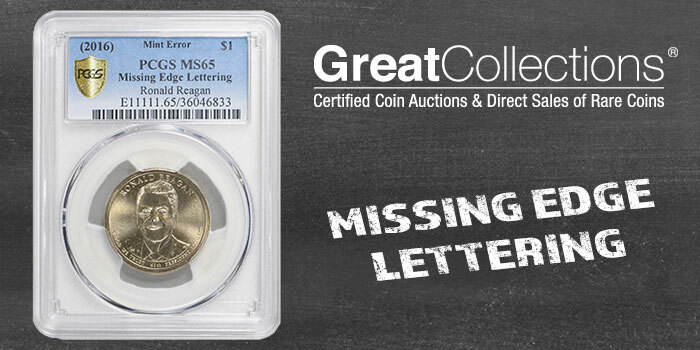 Numismatically, the coin is exciting because it is the only known example of this issue with missing edge lettering. PCGS graded the coin at MS-65 and it is housed in a Gold Shield holder. 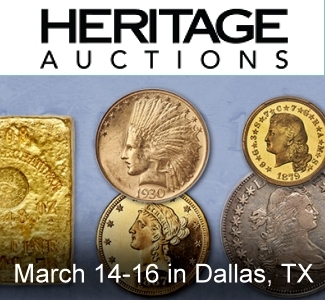 As the dollar is a new find, there are no previous auction records to report. 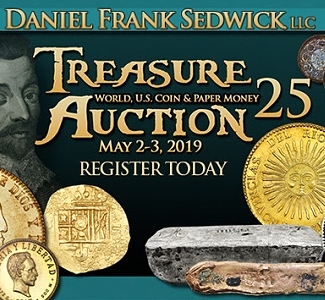 The discovery coin is, however, currently up for auction at GreatCollections.com. After 63 bids at the time of publication, the current bid stands at $3,350 USD. 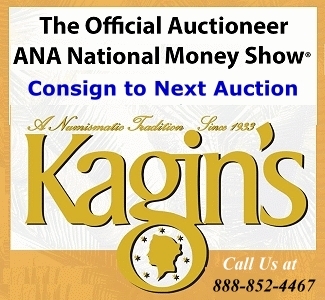 Bidding ends on Sunday, January 20.